Velké Bílovice is not exactly a large town, but it is the largest winemaking town in the Czech Republic. Even though it contains only about 1250 buildings, it is home to more than 1020 winemakers. 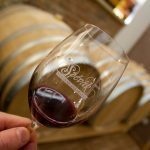 That means that nearly everyone and everything in Velké Bílovice has something to do with wine. It might be hard to believe and imagine, but it is completely true. 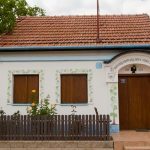 Almost every building we encountered in the town of Velké Bílovice was a wine cellar or at least a wine shop. In other words, the perfect place for a holiday! 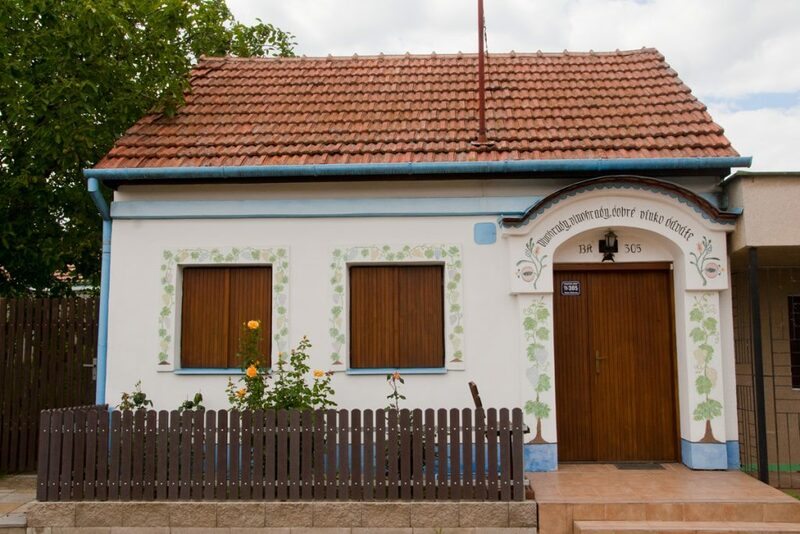 You can find Velké Bílovice in South Moravia, about half an hour drive from Brno and only about 80 km away from Vienna. 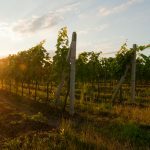 As mentioned, it has an impressive amount of winemakers and vineyards (750 hectares, to be exact), which makes it very easy to find and taste good wine there. 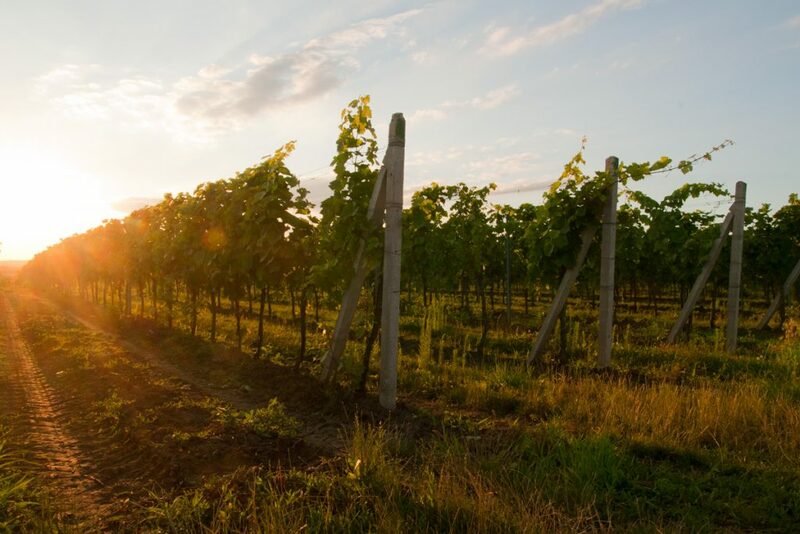 Because it can be difficult to decide which ones out of the hundreds of wineries are worth a visit, we recommend to take advantage of the “open cellars”. 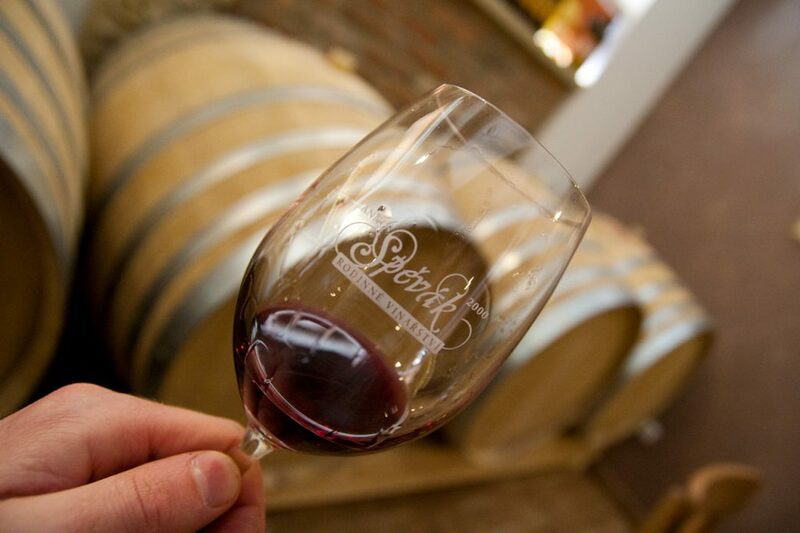 From May to September, five wine cellars are open every week for people to simply drop by and have a tasting. 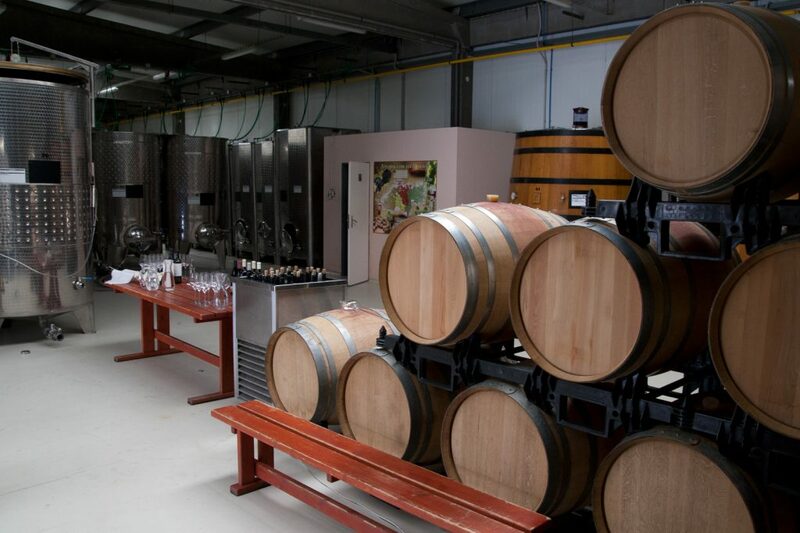 Each week, different cellars open their doors, so you can even spend the entire summer just getting to know the local winemakers and their wines. 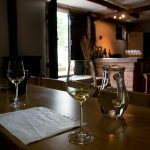 The list of the participating wineries and a map with their locations can be found online or basically at every hotel/winery/B&B in town. 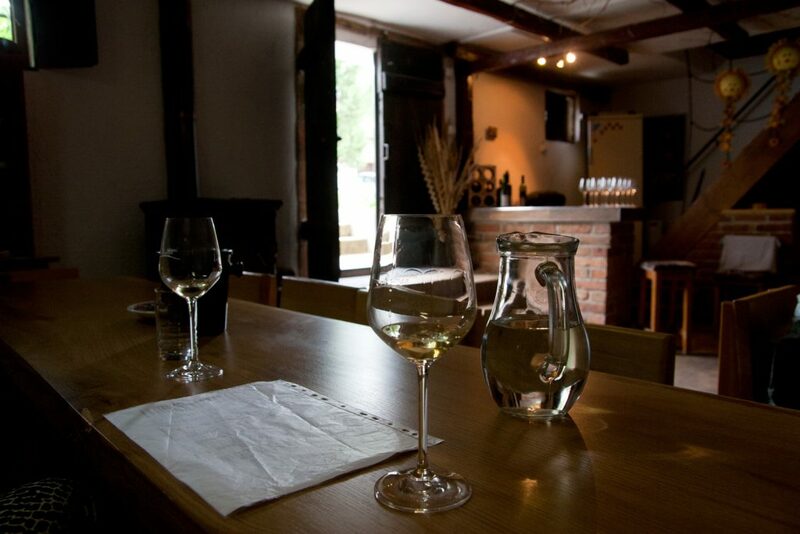 In summer, you can visit the cellars from about 1 pm to 7 pm every day. Just pick a winery (you can try another one tomorrow), go there and ask for a glass or an entire wine tasting menu. That usually costs 150 CZK (about 5 €/$) and consists of 8-12 different wines from the given winemaker. You can of course buy a few (or a lot of) bottles of your favorites afterwards. 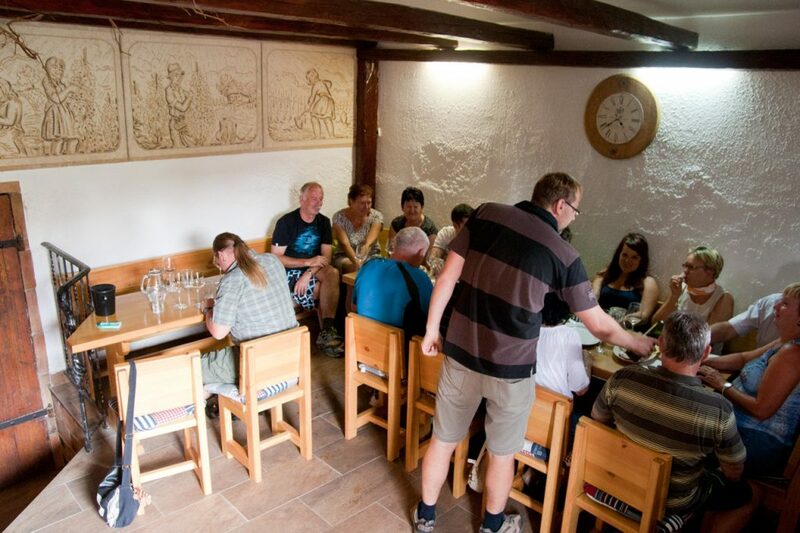 Last year, we visited all five wineries that were open during the week we were staying in Velké Bílovice. It was a highly enjoyable way to get to know the local wines and the town, which offers a unique mixture of old and very modern wine cellars. 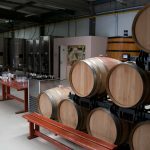 We got to visit very tiny family wineries with traditional small underground cellars, as well as large companies with their brand-new metal storing containers standing in factory-like environment. Although centuries old cellars certainly have their charm, we must admit we liked wines from all the winemakers we tried. If I gVelke Bildvice on 3 October, will anyone be open for me to see? I am from Napa, California and I am very interested in seeing your wine region here! I hope we can get together for some Vino! Cheers!